The Board of Directors is delighted to announce NEFirst Credit Union as Bishop Auckland Football Club’s new main club sponsor. One of the driving forces behind the decision was the opportunity to collaborate with a brand that shares the football club’s core values. The deal is for one year initially, with the option of extending the partnership by a further 12 months. The NEFirst logo will be proudly displayed on the front of all BAFC’s first team playing shirts and replica shirts for the 2017-18 season. NEFirst Credit Union provides access to straightforward, secure savings accounts and affordable loans. It was formed by the merger of a number of smaller North East based Credit Unions who have been providing savings and loan accounts for their members for more than twenty years. The Club’s Commercial Director Dave Mills said: “This partnership is the flagship and most prestigious sponsorship, advertising and marketing product at Bishop Auckland Football Club. “It provides NEFirst Credit Union the opportunity to become the club’s major commercial partner and prominently stand side by side with the football club, in all aspects of its business, throughout the period of the agreement. NEFirst Credit Union covers the whole of the North East, including County Durham, Northumberland and all of the boroughs that make up Tyne and Wear (Newcastle, Gateshead, Sunderland, North Tyneside and South Tyneside). Anyone who lives or works in this area is eligible to join. 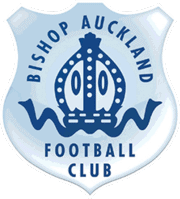 Mick Davison, Director of NEFirst, is equally enthusiastic about this agreement and said: “We’re delighted to be able to take the opportunity to sponsor Bishop Auckland FC. We look forward to working side by side with the club to enhance our brand and engage with the local community. “We are keen to highlight that there are alternatives to high-cost or illegal lenders and this will provide a platform to help us do that. The club will be making a further announcement in the next few days to inform everyone about when and how the new first team shirts will be available to purchase.